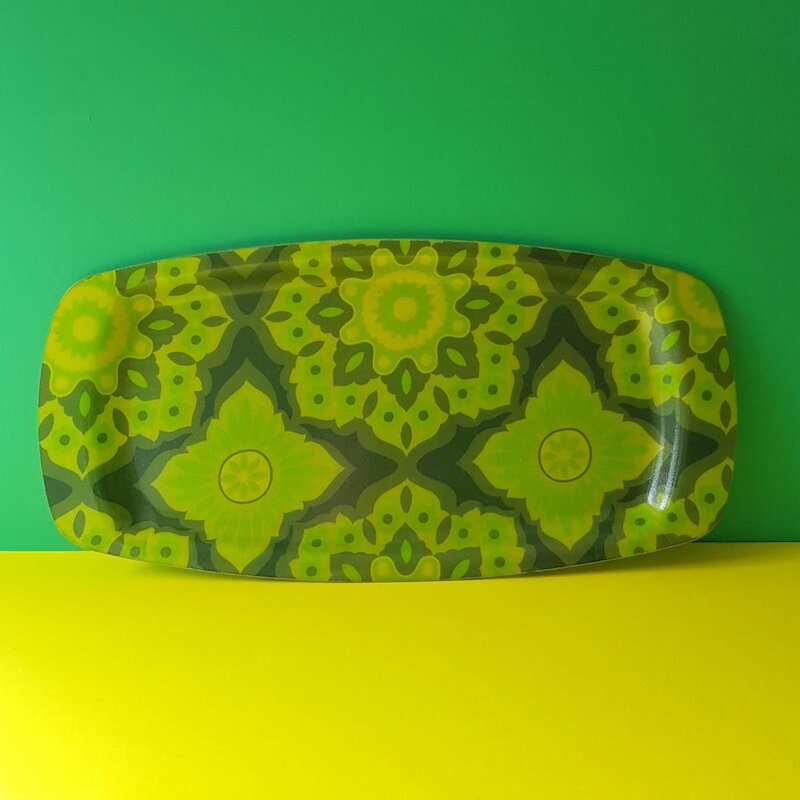 Small 1970s fibreglass tray with a lovely psycadelic pattern in yellows, greens and greys. A very useful size for a couple of mugs with plates and enough room for cakes and biscuits! 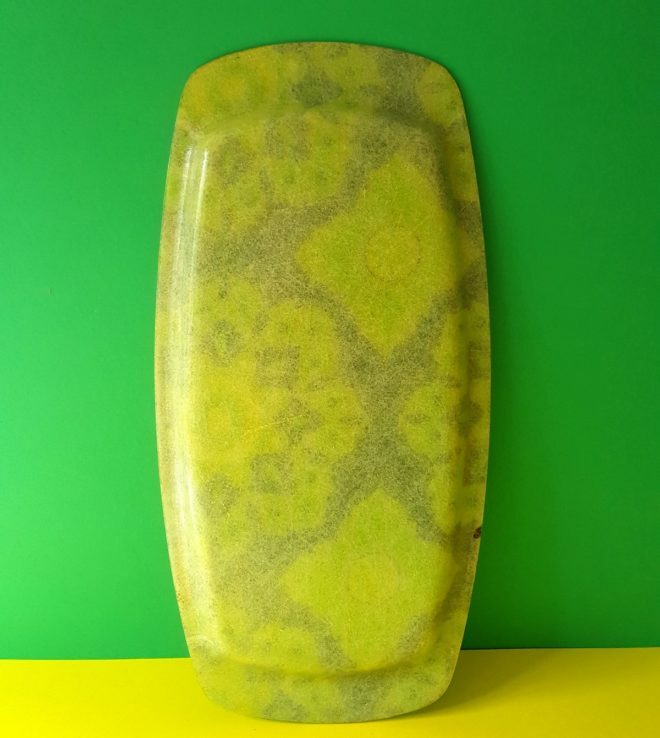 Would look great as decoration on a shelf or displayed on the wall. 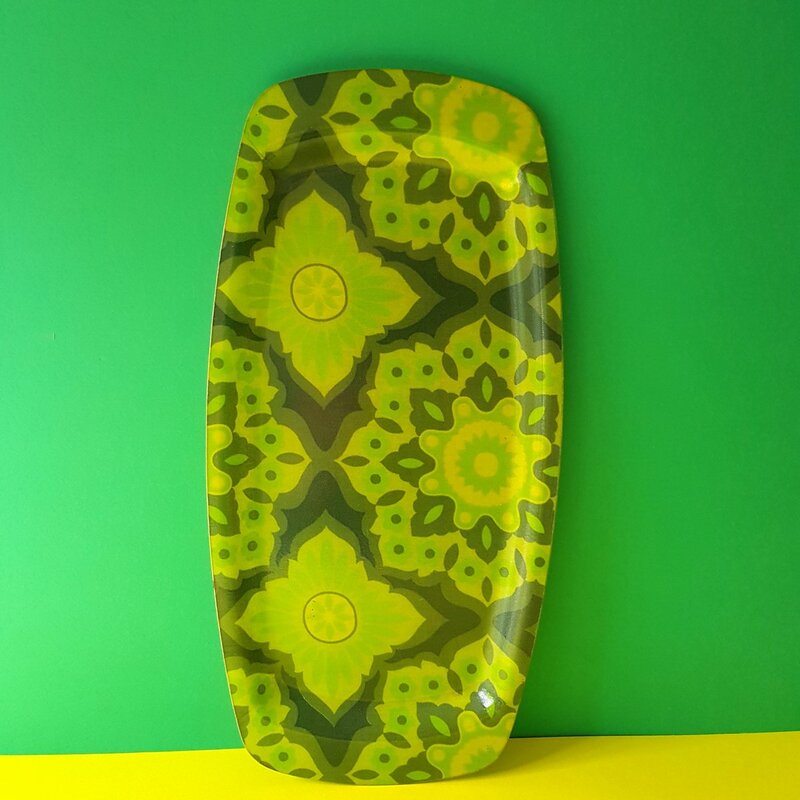 The bright colours are a definite retro reminder! Condition:Good vintage condition, with some minor scratches but nothing that detracts. The back has a small burn mark at one of the edges, but this doesn’t show to the front. Please see pics for up close detail.